I think I’m still feeling soppy after my engagement party as I don’t usually post wedding pics! 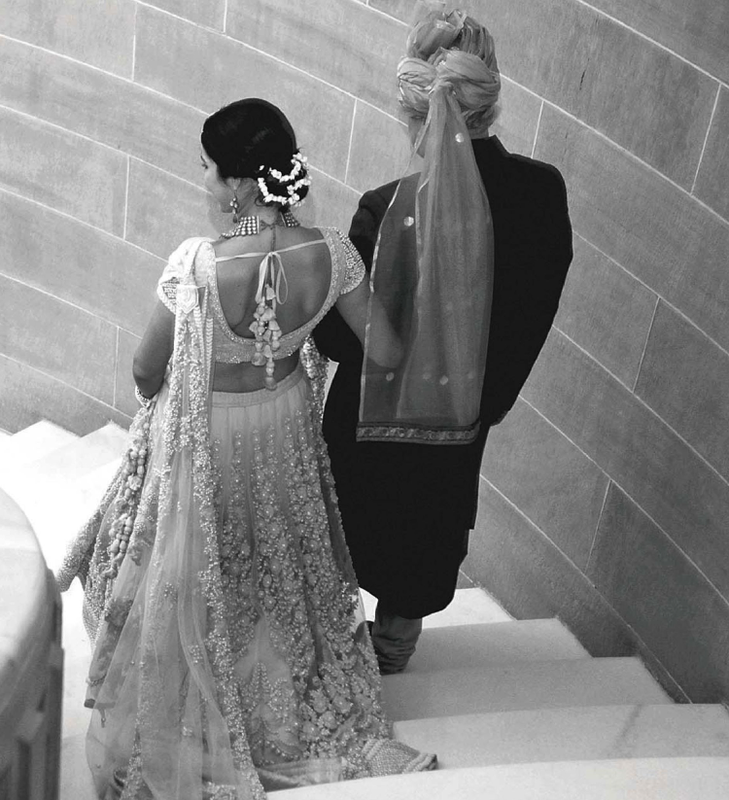 but when I saw these pics from Shaana Levy’s wedding to Uraaz Bahl I had to share them. 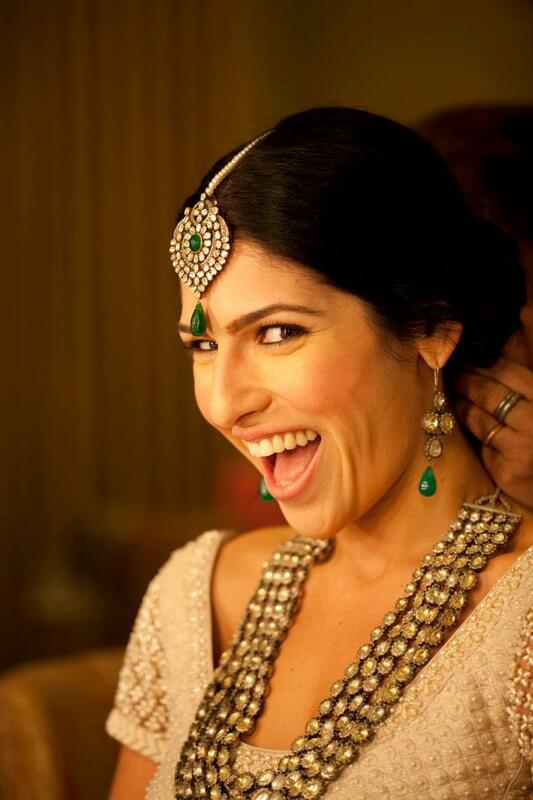 Shaana looks so natural and elegant in her Sabyasachi lengha and statement jewels. 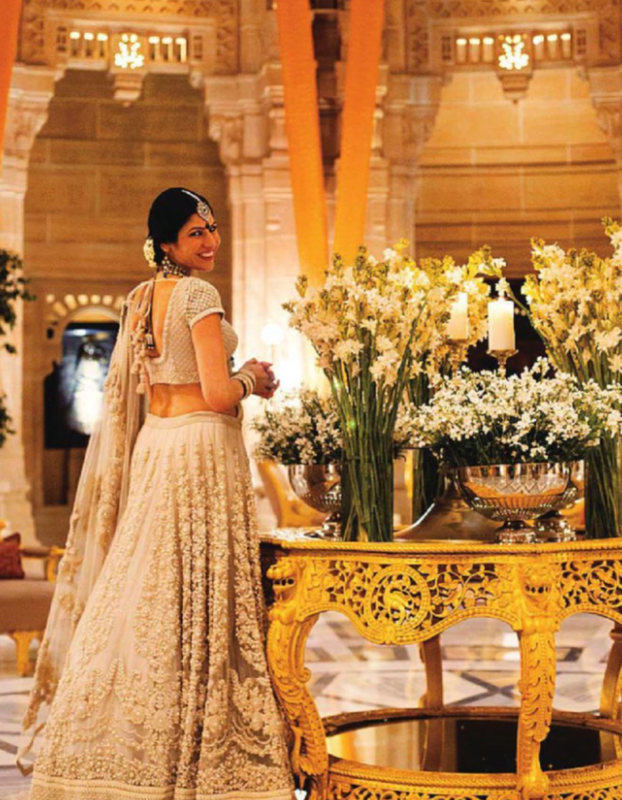 It’s a really toned down look for an Indian bride and that’s the reason I love it. Aashni & Co in London have this lengha in stock as well as a rose and mint version both are beautiful and the intricate thread & pearl work is spectacular. The dream team at The Wedding Filmer just uploaded Shaana Levy & Uraaz Bahl’s dreamy wedding highlights titled ‘Happily Ever After’ Enjoy!